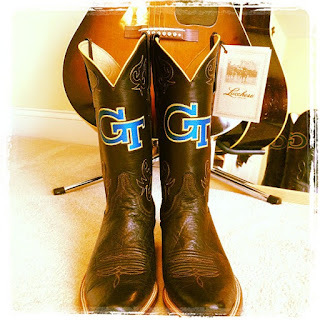 Scotty McCreery ‏@ScottyMcCreery “@fbdunn3: @ScottyMcCreery how about some nc state one?” those are next! 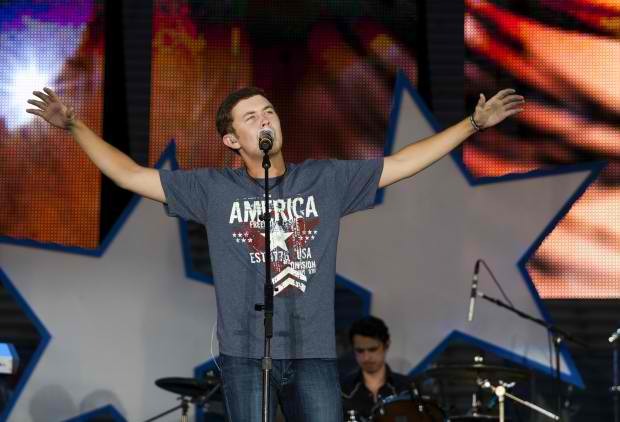 "Scotty McCreery, the season 10 winner of "American Idol," was the official opening act for The Beach Boys, performing a 25-minute set that showcased his preternaturally deep baritone and his country band, recalling a young George Strait — though Strait likely didn’t charmingly gush about pretty Utah girls during his performances like McCreery did." All-American music provided by The Beach Boys, McCreery, Osmond, Boyé and others seemed to be one of the best ways to honor the country, and its troops, on the Fourth of July. GAC host Nan Kelley & Jake Owen on the set of Top 20 Country Countdown. Photo by Julee Cobb. On the chart this week, several videos make their countdown debut! Scotty McCreery has the biggest entrance of them all with his latest, “Water Tower Town,” debuting at No. 1. “Postcard From Paris” from The Band Perry enters the countdown at No. 10 while Joey + Rory’s latest, “When I’m Gone,” debuts at No. 12. Just wanted to post a few of the places where you can vote for Scotty - Happy Voting McCreerian's!!!! Thank you Lexi for posting these in the comments!